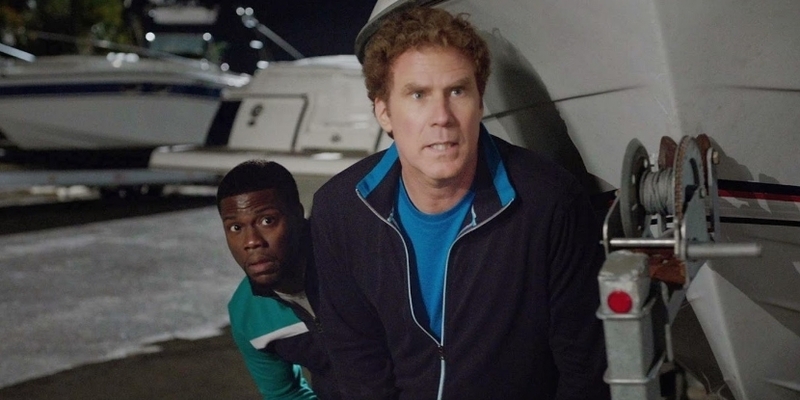 Will Ferrell continues to lose his comic touch with Get Hard, an unamusing and degrogatory excuse for a comedy that finds him in cahoots with Kevin Hart. Millionaire hedge fund manager James King (Ferrell) is unlawfully convicted of fraud. With a month before his ten year prison is due to start, King turns to family man Darnell (Hart), who’s after a quick buck, in a bid to prepare himself both mentally and physically. Get Hard is one idiotic attempt at being funny stretched out into what feels like an endurance test. Not one second passes without some crude gay-panic line or form of racial stereotyping. And, if it does, then the audience are instead treated to a brainless narrative with flat roles for women (Alison Brie sticks around for all of fifteen minutes) and nothing interesting to say. Ferrell, who is brilliant when it wants to be, here cashes in another cheque, while Hart squeaks excitedly as if involved in something entirely different. It’s a tasteless – no, offensive – film that’s competently, if unattractively made. It’ll make a profit though – no matter its issues.